Tuition fees to rise to £10,000! Over that time students have been left to worry about just how (not if) they will be made to pay more for their right to an education. 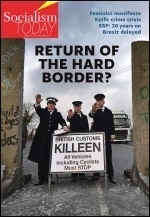 Earlier this year it appeared that there were divisions amongst the coalition government over this issue. Certain Lib Dems such as Vince Cable favour a graduate tax being brought in (which would result in most students paying back significantly more than they are loaned) while most Tories prefer to simply raise fees. Early reports are now suggesting that Browne will attempt to keep both sides happy by including both an increase in fees and elements of a graduate tax in his recommendation! In fact details printed in the Observer suggest that the fees increase will be significantly more than expected. Rather than just raising the fees cap to £5,000, or £7,000, or even £10,000, as had previously been hinted (any of which in themselves would represent a massive increase on the current cap of £3,290), the newspaper reports that Browne will recommend allowing the elite universities to charge over £10,000. In exchange for this, some of that money would go towards a centralised fund to be used for bursaries for poorer students. This would be combined with an almost 75% cut in the higher education teaching budget as well as interest on student loans being increased to commercial rates. 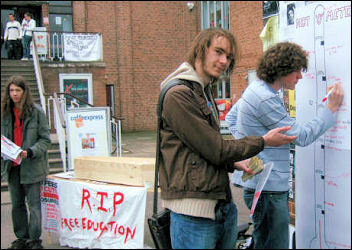 The article points to students leaving university with over £80,000 debts in this situation. Clearly if these proposals are accepted, only students from the most well off backgrounds could even think about applying to the elite universities. The already existing two-tier higher education system would be hugely exacerbated very quickly. As university funding moves further away from the state and further towards those students who can afford it, universities with a more working class student population (already at the sharpest end of education cuts) will fall even more behind the elite universities. If these reports are correct then the Browne review will represent huge attacks on education in general, but on working class students in particular. At a time when youth unemployment is at record levels, the right to an education becomes more important than ever. The National Union of Students and the University and College Union have called a demonstration on 10 November under the title "Fund our future". This demo needs to be built for properly, not just in isolation, but as part of a national campaign uniting students and workers to fight against every cut and against all fees. 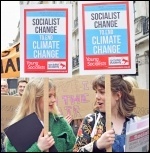 Youth Fight for Jobs and Socialist Students will be holding protests around the country on 20 October when the results of the comprehensive spending review are announced. Get in touch via www.youthfightforjobs.com and www.socialiststudents.org.uk to get in involved in your area.